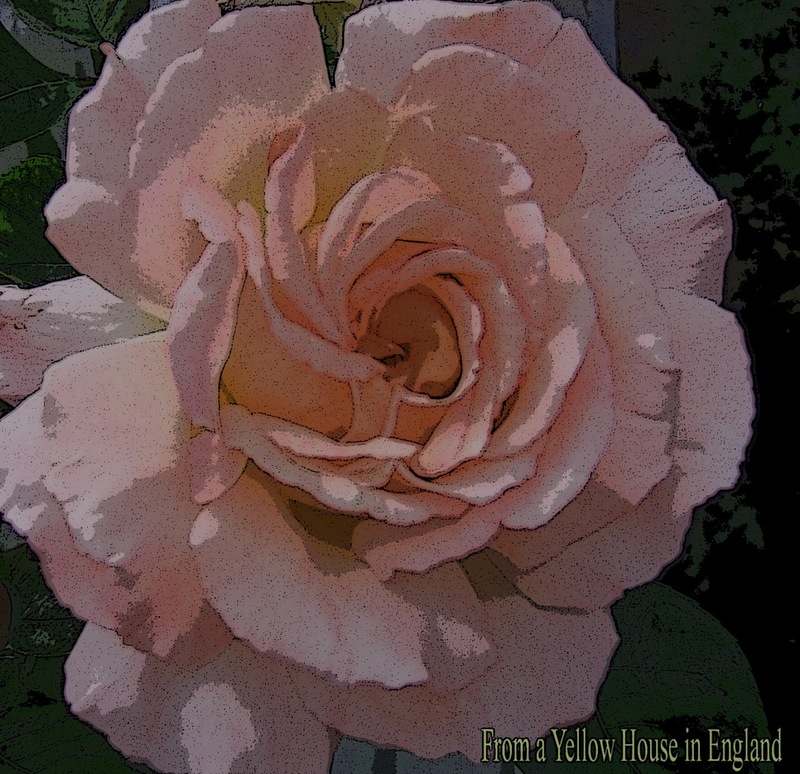 As I mentioned yesterday, we have a few roses finishing off the season around the Yellow House. 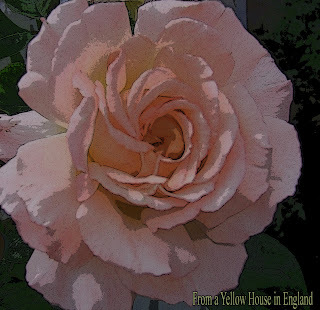 I've shared some photos of these lovely roses before, but they are always so exquisite that I just love sharing them here :-) I've been playing with Photoshop as you can tell ;-) I decided to present our pretty roses in another light for a change of pace. I think that this one is the last of all of them. I took this photo the other day and this lovely flower has already started its fading as I type this. The leaves are starting to fall away, but that is the way of life as the seasons change as you know. So as we head into autumn/fall, I hope you can smell the sweetness of this beautiful rose and I hope that it reminds you of the joys and memories of your summer! thanks for share that cool photo. I love roses, plant and see sprout! The perfume is delicate and the colors too!